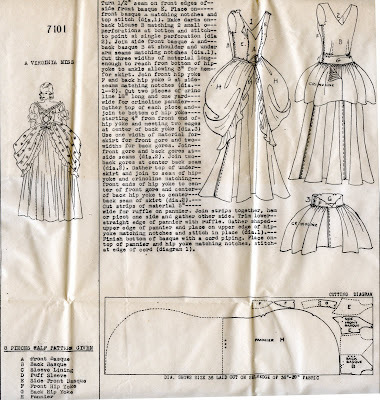 This pattern is a companion to Simplicity 7100, Uncle Sam. Uncle Sam is generally thought to be a bachelor, but for couples who wanted to coordinate at their local fancy dress ball, some option was needed for the ladies. The "Sweet Young Thing" designation is unusual; usually eighteenth century themed costumes for ladies are titled Martha Washington or Dolly Madison. 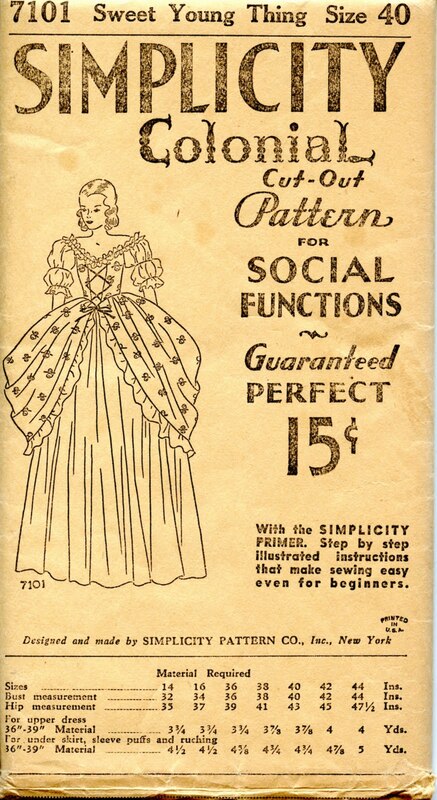 I've never understood why Betsy Ross didn't surface in the popular imagination, but I haven't yet seen a fancy dress pattern named or themed after her. 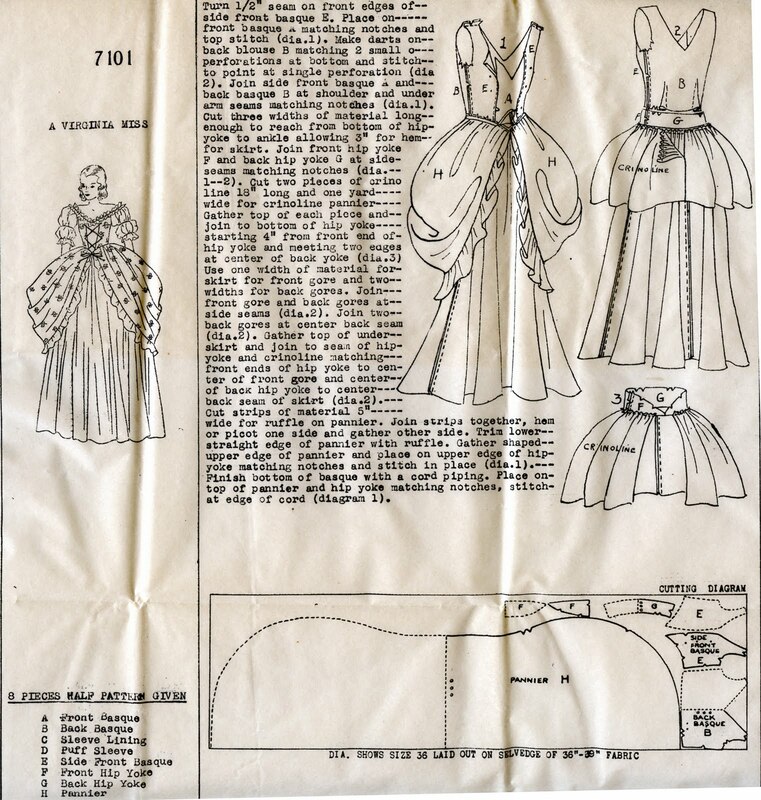 Somewhat confusingly, the instruction sheet calls this model "A Young Virginia Miss." 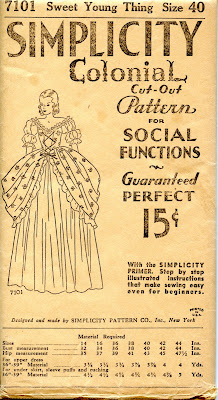 Pattern companies weren't interested in reproducing historical clothing exactly; instead, their patterns represent (mostly) current styles which borrow from history. 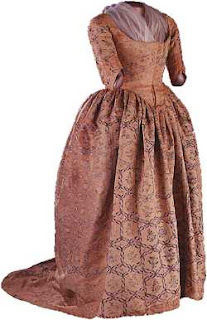 Here is an example of what the colonial period actually looked like, as represented by a gown worn by Martha Washington in the 1780s. It was donated to the Smithsonian Institution in 1929. The sleeves would have been finished with finely gathered lace or lawn; the little poofy sleeves worn by Miss S. Y. Thing are pure 1930's.